Factories that rely on oil to lubricate their equipment and optimize its lifespan and performance may cause more harm than good if that oil has become contaminated. When debris makes its way into the lubricant, it can be abrasive to the bearings or other moving parts that are supposed to operate smoothly. When abrasives infiltrate equipment, the result could be failure. One might wonder how something like another lubricant or water could cause abrasion in a part. But an oil lubricant has specific properties that make it optimal for a given piece of equipment – anything that throws off those calibrations can be detrimental. It also isn't only abrasion that causes equipment to fail early, though it is the culprit for machine wear 66 percent of the time. Adhesion is the cause 12 percent of the time, while erosion and fatigue each also occur 8 percent of the time. Particle contamination results in abrasion, erosion and fatigue – accounting for 82 percent of equipment wear. 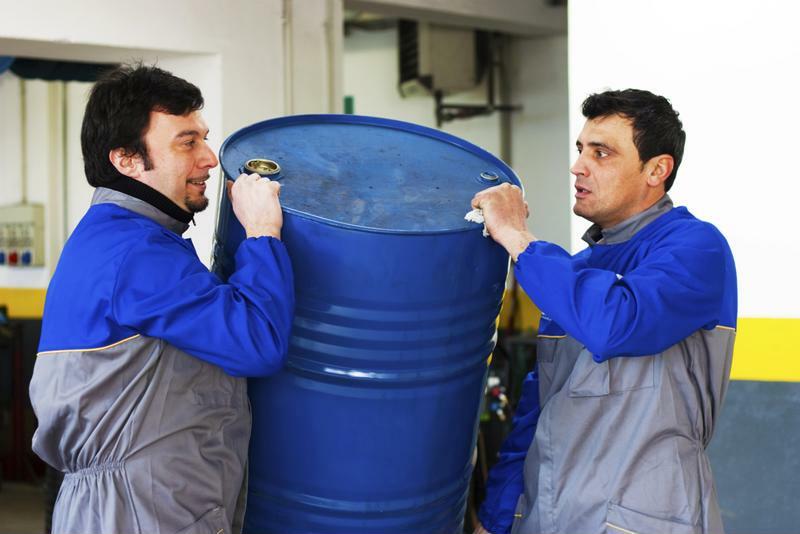 How clean is your plant's oil lubricant? It doesn't take much contamination for oil lubricant to become ineffective and cause equipment failure. To better illustrate how much it takes for oil to be contaminated, Kopchinsky outlined particle sizes and frequency. According to the ISO contamination code, particles of different sizes have different rates of occurrence. The ISO standards consider particles at 4, 6 and 14 microns in diameter and uses a chart to determine the rating, displayed as ISO R4/R6/R14. Each of R4, R6 and R14 corresponds with the number of particles at or above that size in microns per milliliter in a given sample. The ISO chart uses exponential increases for the amount of particles in oil to align with incremental increases in the rating number. For example, oil with between 1,300 and 2,500 particles over 4 microns thick per milliliter gets a rating of 18. If that same batch has between 320 and 640 particles over 6 microns thick it gets a rating of 16. Finally, if that oil has between 40 and 80 particles over 14 microns thick it receives a rating of 13. Overall, this oil container would be rated ISO 18/16/14. Typically, a single teaspoon of dirt in a 55-gallon drum of oil yields a particle count of ISO 19/17/14. This rating is considered passable for low to medium pressure systems and is the highest particle count acceptable for any type of system. However, finer oil should always be the goal. How big is a micron, exactly? A single grain of fine beach sand is about 90 microns thick. Human hair is between 50 and 70 microns in diameter. Dust and pollen particles are less than 10 microns thick. By and large, new oil is never clean enough for use. Before installation in any type of system, new oil should be put through a filtration process. That's because that "new" oil has actually gone through a number of processes before it arrives for your use, including refinery, national distribution, regional distribution, local distribution, poor storage and transportation, dirty containers and improper breathers. Kopchinsky also recommended using filtering directly from the drum to the reservoir for large sumps and using sealable and refillable oil transfer containers to keep oil clean and dry during transfers. "Maintenance professionals need to pitch the fiscal outcomes of oil contamination." From a maintenance manager's perspective, the dangers of poor lubrication are poor equipment performance and early failure. But from an executive standpoint, the dangers are the financial burdens of that low performance. Maintenance professionals need to pitch the fiscal outcomes of oil contamination and the need for early filtration and contaminant exclusion. Des Case worked with one company to estimate how much money they lost on an annual basis from poor lubrication practices. They project $1.62 million lost annually, of which $567,000 was addressable. By implementing better lubrication and filtration practices, the team estimated the company would save $1,335,631 over a five-year period with a return on investment of 145 percent. In another case, a foundry was using 26 dust collector units with improper lubrication practices. Just through recalculated bearing lubrication volumes and frequencies, the team estimated it would save almost $1,750 and 40 hours of work time per year. That figure doesn't account for travel time, damage from overlubrication or underlubrication, or reducing bearing life from using the wrong lubricant. A different foundry spent $65,796.50 in electrical motor purchases and rebuilds in 2011 along with $1,496,623 in total bearing purchases. More than 50 percent of electrical motor failures were bearing-related, 95 percent of those failures were premature and 58 percent were due to poor lubrication practices. Overall, they estimated $868,041 in avoidable lubrication failures and total bearing purchases in 2011, not including electric motor bearings. It's clear that better lubrication practices can have an enormous impact on plant operation and the bottom line. That's why maintenance professionals and managers should examine the best condition based lubrication techniques as part of a larger predictive maintenance program. Ultimately, filtering oil and finding contaminants in bearings before they can cause failures goes a long way toward improving plant efficiency and optimizing work hours.